Attractive, warm and inviting, this smallish restaurant gives off a pleasant vibe as soon as you enter. Also greeting you are the subtle aromas wafting from the kitchen. Good things may be close at hand. Having spent a business lunch here not long ago, I knew the food was good and I was anxious to bring my hubby for a meal. After an exhausting day spent at the nearby mall and braving the crowds at Costco the Sunday before Christmas (I make him earn his meal! ), I brought him here for dinner. With no reservations, we were shown to a table immediately as it was still early. Beyond my description of this restaurant given above, at night the place takes on a saffron-like glow from the discreet lighting, warmly painted walls, wooden furniture and stone fireplace. But, let’s not dwell on appearances alone….on to the menu! We ordered a starter; Carpaccio (thinly sliced raw beef with Dijon, shaved Parmigiano, arugula, capers, EVOO and lemon) followed by a split order of house made Gnocchi a Piacere with choice of marinara, Bolognese or pesto sauce — I chose Bolognese. The Carpaccio was good, but the gnocchi was excellent and the Bolognese sauce, out-of-this-world good with chucks of beef (no ground meat here) and the tomatoes had been cooked well and pureed into the sauce, giving the dish a full and rich flavor. For mains, hubby ordered the special of the evening, Cappellini Pescatore and I ordered the Rack of Lamb with Cabernet Reduction. The pasta with fish assortment was tasty, and though it came with a generous portion of fish, it resembled more of a Cacciucco or Cioppino that typically have thinner, soupier sauce, than a dish with pasta and fish. My rack of lamb was cooked perfectly; medium rare as requested, and the Cab reduction was killer. Everything was seasoned well coming out of the kitchen, which meant I did not have to try to adjust at the table. In fact, all the dishes we enjoyed that evening had been expertly seasoned. Bravo! Far too many chefs neglect this most important step, keeping their food in the “good” category when it could have been in the “wow” column. Desert shared was a Limoncello (frozen lemon cream with Limoncello sauce). Yummy! 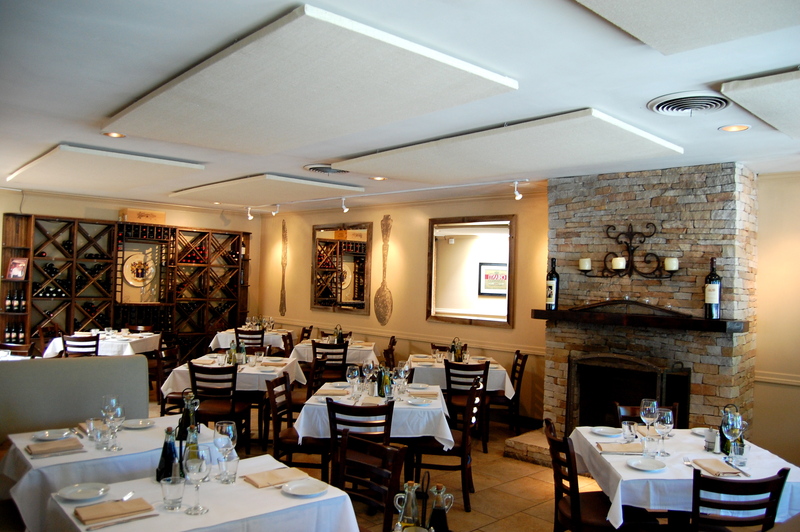 Great atmosphere, great food — Get Thee to Chianti Cucina and enjoy…..